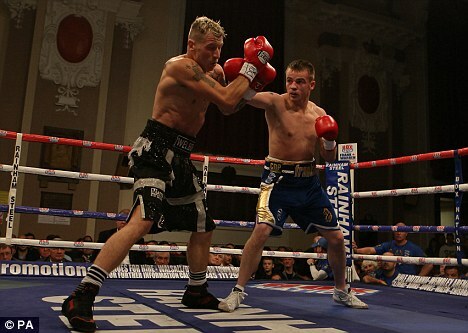 Frankie Gavin continued his ring apprenticeship with a ninth-round stoppage of Jason Welborn at a packed Walsall Town Hall. 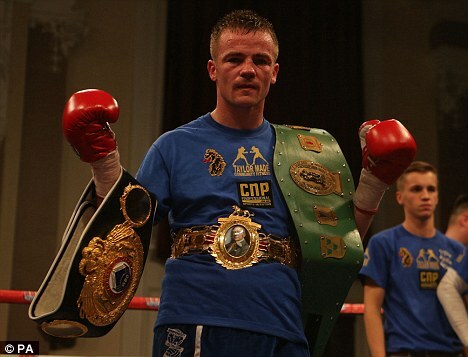 The former world amateur champion has experienced a turbulent four years since turning professional but made progress in 2012, picking up the Lonsdale belt with a dull but professional win over awkward former world champion Junior Witter. The Birmingham man, with a record of 14-0 (10KOs) heading in, was expected to make his first defence in style against Rowley Regis puncher Welborn (11-1, 5KOs), who freely admitted in the build-up he could not match Gavin for quality. Ranked a massive 1-20 favourite by bookmakers heading into the bout, Gavin unsurprisingly looked to use his technical skills early with quick jabs and solid body shots. But Welborn was intent on making a fight of it, marching forward throughout but enjoying only sporadic moments of success. A southpaw left uppercut in the second demonstrated Gavin's class as he continued to move through the gears into the third. But Welborn had his best moment so far in that session, briefly trapping Gavin in the corner with a jab and clipping right before the former amateur star escaped and won the round clearly. Welborn, nose bloodied and swollen under the left eye, was at least landing occasional jabs but the rounds were slipping away. Gavin landed a left-right early in the sixth but was only occasionally putting together sustained combinations. A right hook with Welborn on the retreat landed flush and a right uppercut was particularly sweet. Welborn looked increasingly desperate as the bout reached the seventh, lunging in and being punished in the process. A left to the body then had Welborn down on one knee and though he rose, Gavin slammed in power shots to head and body until referee Ian John-Lewis stepped in to save the dejected Black Country man further punishment. Walsall's Martin Gethin fulfilled a lifelong ambition by claiming the vacant British lightweight title with a slick ninth-round stoppage of Hove's Ben Murphy. The local man started slowly against the stocky, aggressive southerner but soon settled into a rhythm, picking his shots nicely and breaking Murphy's heart before referee Marcus McDonnell saw fit to call a halt. Gavin said: 'I'm getting better and was pleased with my performance tonight. 'Training wasn't ideal as I injured my left arm during camp and my son Daniel was admitted to hospital with illness last night but I showed my mental strength in there.